The European Alps on a full-day trip to Chamonix and Mont Blanc, highest mountain in Europe, from Geneva. 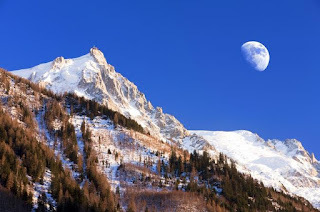 With a guide, travel through the splendor of the countryside to Chamonix, a picturesque Alpine town, and ascend to the Aiguille de Midi peak in a modern cable car. 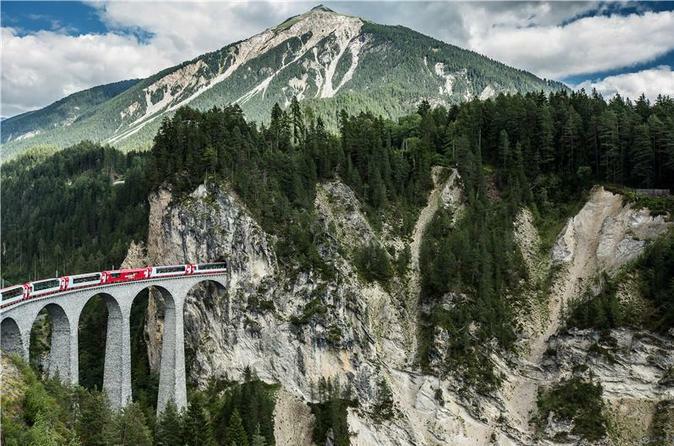 Capture sweeping vistas of the French, Italian and Swiss Alps on camera and the take a scenic railway ride to Montenvers, home to Mer de Glace, the most famous glacier in France. Opt to include a 3-course lunch in Chamonix to enjoy an appetizing addition to the tour. Travel to Jungfraujoch — Europe's highest railway station at a dizzying height of 11,333 feet — on this 9.5-hour day trip from Lucerne. A scenic coach drive via the Bernese Oberland delivers you to Lauterbrunnen for a cogwheel train ride. 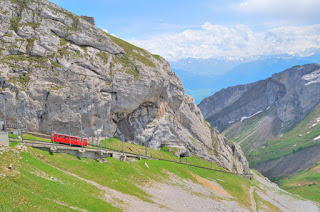 You’ll wind through the Kleine Scheidegg mountain pass below the foot of the Eiger North Face. 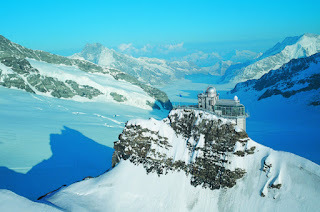 At the Top of Europe, explore the glaciated Ice Palace and enjoy World Heritage–listed views of the soaring Swiss Alps and Aletsch Glacier from the Sphinx Observatory. 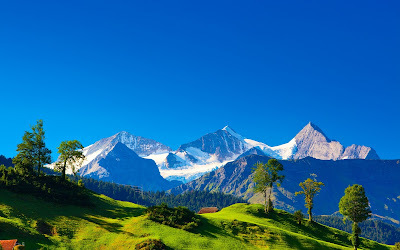 Spend an afternoon in the Swiss Alps during this seasonal trip to Mt Pilatus from Lucerne. Your 5.5-hour round-trip journey includes a 30-minute panoramic gondola ride from Kriens to Fräkmüntegg terminus plus an ascent by aerial cableway to the peak of Mt Pilatus. After free time at the summit, take the world's steepest cogwheel train down to Alpnachstad, where you’ll board a boat for a 1-hour scenic cruise on the tranquil waters of Lake Lucerne. 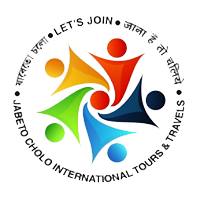 Enjoy commentary from your guide and coach transport from Lucerne. 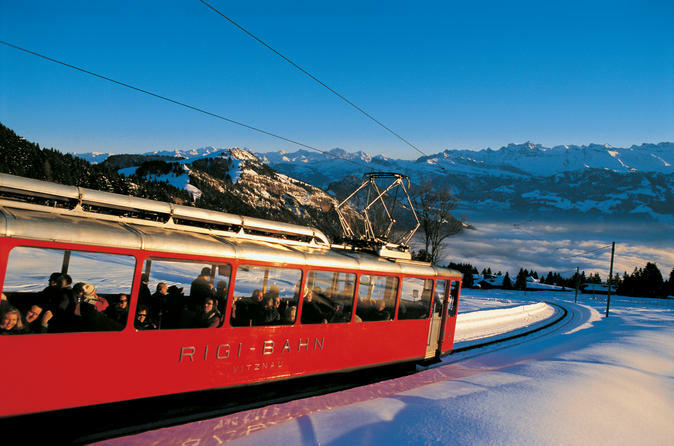 Ride an aerial cableway from the Alpine village of Engelberg to the summit of Mt Titlis on this afternoon tour from Lucerne. Then squeeze in as many snow-themed attractions as you can during approximately two hours of free time at the top. Your guided day trip includes snow tubing at Titlis Glacier Park plus admission to the Glacier Cave, Ice Flyer chairlift, Titlis Rotair gondola and Cliff Walk — Europe’s highest suspension bridge. Delight in the frozen enchantment of Mount Rigi on a full-day tour of the ‘Queen of the Swiss Mountains’ from Zurich. Enjoy a balanced combination of independent and guided exploration and experience an aerial cable car ride to the summit of Switzerland’s most magnificent natural landmark. Take Europe’s first cogwheel train down the steep mountainside and soak up sweeping alpine vistas from a charming terrace above Lake Lucerne. Explore Zurich on a half-day sightseeing tour of the city. 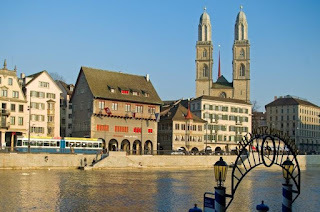 Climb aboard a luxury coach for a panoramic tour of top sights like the Swiss National Museum, the Zurich Opera House and the Old Town, and then take to the water for a scenic ferry crossing of Lake Zurich. Marvel at the grand architecture of Fraumünster Church and the Bahnhofstrasse and then gaze at sweeping Alpine vistas as you ride a cable car to the vertiginous Felsenegg vantage point. Enhance your experience of Jungfrau’s Alpine majesty on an exhilarating full-day excursion from Interlaken to the Top of Europe. 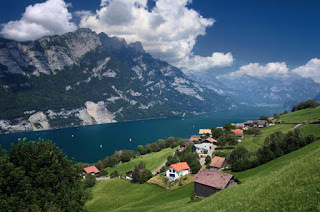 With a professional guide, travel by luxury coach through spectacular Swiss scenery to the village of Grindelwald. 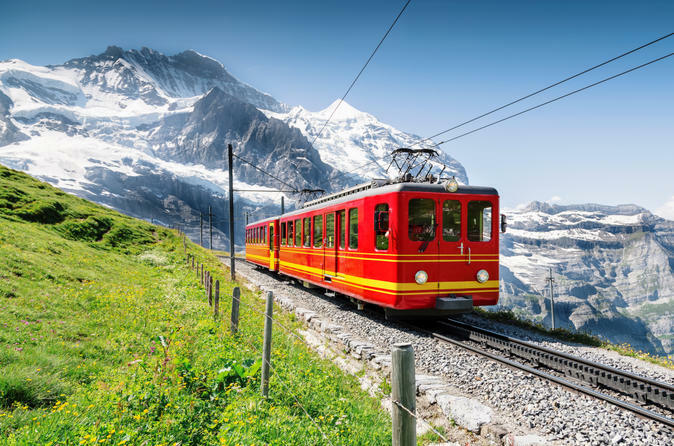 Board a cogwheel train up the Jungfraujoch pass and arrive at Europe’s highest railway station, known as the 'Top of Europe'. Absorb magnificent panoramas of snow-capped Alpine spires from a height of 11,333 feet; gaze at the jagged peak of Europe’s largest glacier; and explore a fairytale ice palace while enjoying illuminating commentary from your guide. 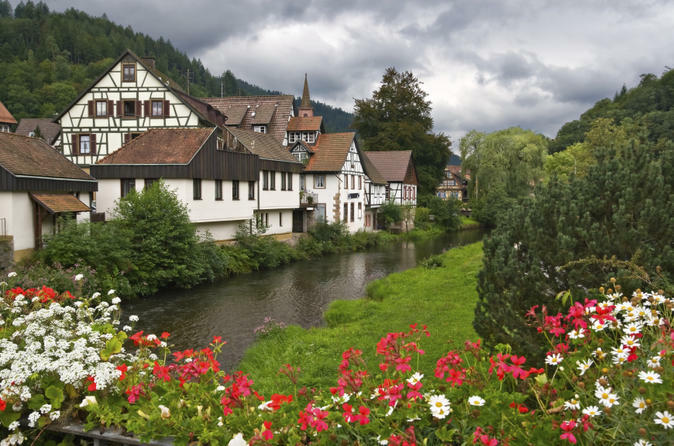 Travel into the heart of the breathtaking Black Forest region on this day trip from Zurich, with a stop at Rhine Falls. You’ll cross into Germany from Switzerland to visit the charming town of Titisee-Neustadt, where you’ll visit the locally renowned Drubb watchmaker to see how cuckoo clocks are made. Enjoy free time here with the option to take a boat ride on Lake Titisee. Later, witness Europe’s largest waterfall tumbling into the Rhine River. 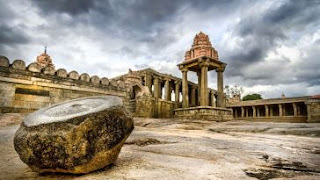 Enjoy informative commentary from your guide and a round-trip ride by luxury coach. 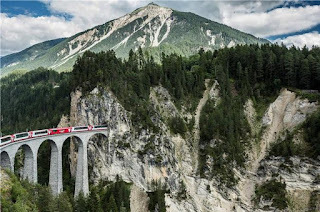 The entire Glacier Express journey takes around 8 hours and crosses 291 bridges, passes through 91 tunnels and climbs over the 2033 m high Oberalp pass – this is truly one of the most famous train journeys in the world.